RMI organized a breast cancer conference for Nicaraguan physicians and surgeons this past March on the campus of the American Nicaraguan University in Managua. The lecturers were American physicians and surgeons, some of whom participated in 2003 in a similar conference in Havana, Cuba, also organized by RMI. This two week mission included the donation of two new LORAD mammography machines. These were installed at two teaching hospitals in Sofia, and training to the x-ray technologists and radiologists was provided. A separate Community Outreach program was organized by Kathy Pardew, wife of US Ambassador to Bulgaria James Pardew. The outreach team included three wives of Members of the US Congress, one of whom is a breast cancer survivor. The team’s presentations were prepared by a professional women’s health educator who joined the mission. This was a three-year interval follow-up to the original mammography mission which took place in September, 2001. Our purpose was to observe the level of skills acquired through experience in the radiology/mammography departments at the recipient hospitals in Beijing: First Hospital of Peking University and Tong Xian Women’s and Children’s Hospital. Also, our team of eight provided additional advance training. This hospital serves the Rosebud Tribe of the Lakota Indians. It is a Public Health Service Hospital under the auspices of Indian Service. The hospital provides biannual health screening programs (Blitz) which encourages participation by members of the tribe. These programs have been successful in bringing women to the hospital for breast and cervical cancer screenings. The hospital looks for volunteer physicians, including radiologists and other specialists, as well as mammography and ultrasound technologists in order to assist the full time staff of the hospital with the large number of patients. Dr. Hirsh will be volunteering his mammography and ultrasound services. He will be bringing one volunteer mammography technologist and one ultrasound technologist. The volunteer travel and living expenses are fully reimbursed by the Indian Health Service. I am considering a follow-up mammography teaching mission to Nepal. RMI’s very first solo mission involved the donation of a new Lorad mammogram machine to the Tribhuvan University Teaching Hospital in Kathmandu, in April 1994. Recently, Dr. Hirsh was contacted by an American-Nepali man who lives in Virginia. This young man, Bijaya Devkota, lost his older sister last year to breast cancer at age 38. 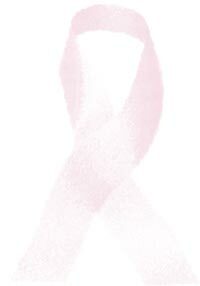 Bijaya obtained Dr. Hirsh’s name and information about RMI from the Susan G. Komen Breast Cancer Foundation. He agreed to help organize this return to his homeland. Bijaya has already made one return trip to Nepal and has visited the Teaching Hospital as well as the new Cancer Hospital in Chitwan. RMI’s return to Nepal will include intensive training at both hospitals which have modern mammography equipment. Bluefield, Nicaragua is a small town founded by the British, located on the Caribbean/Atlantic coast of Nicaragua. It has one Ministry of Health hospital which services a population of 105,000. Approximately 90% of their population is indigenous peoples, the largest group of which is the Miskito Indians. Dr. Hirsh previously visited this hospital in March, 2004 following the Breast cancer Conference in Managua. The only access from Managua to Bluefield was by air, as mountains and jungles separate the main populated areas on the Pacific from the sparsely populated Caribbean coast. What makes the MOH hospital a viable mammography project are its human resources. The hospital is staffed with two general surgeons, one diagnostic radiologist, and one pathologist. There are five female X-ray technologists in the radiology department. Another point that impressed me about this hospital is that it has its own school of nursing, and many of the staff and students are indigenous peoples. The hospital director with whom I met agreed to purchase a brand new automatic film processor if I would provide a mammogram machine. I have received notice form Lorad that they will donate an appropriate machine for 2005.